The part of the service in which the collection plate is passed round is something that can cause anxiety to church-goers, as they struggle to dig out their loose change. 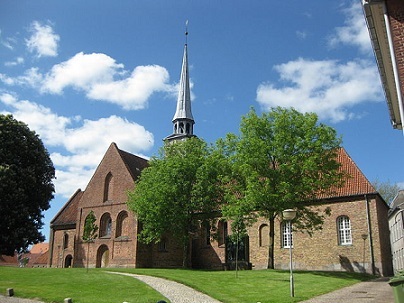 However, this could become a thing of the past as 722 churches across Denmark have seen which way the wind is blowing and registered to receive payments through MobilePay. For example, last year the parish of Aabenraa in Jutland collected 80,000 kroner and 25,000 of that was through MobilePay, reports DR Nyheder. “The amount is growing and in a couple of years I expect it will be rare to find coins in the collection boxes,” said the parish’s head of administration, Morten Hansen. A change to the law brought in by the Church Ministry in December 2016 opened up for the possibility of mobile payments. Perhaps unsurprisingly, it is especially young people who are taking to the new system. According to Hansen, the church has not introduced the new payment system in order to raise more money, but in order to keep up with the times. “It’s easier for everybody; It’s easier for church-goers who have MobilePay, and it is easier for us, so it is a win-win situation,” added Hansen.